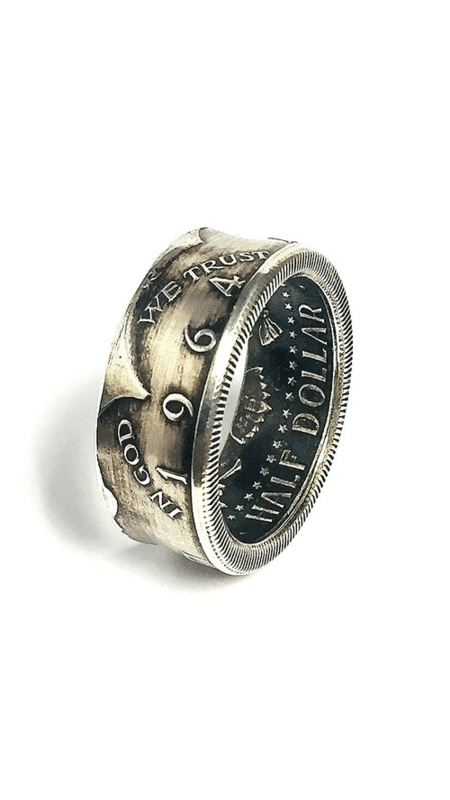 Simple yet bold the JFK Coin Ring is great for a wedding band or just an everyday silver ring that looks great no matter what the occasion. 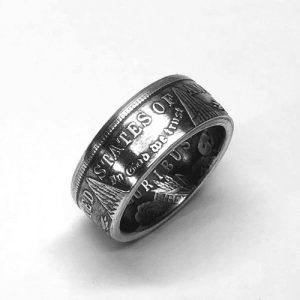 Rest assured this ring will never leave any discoloration on your finger as with all coins mined prior to 1965 it is made of 90% silver. The JFK makes a great looking ring. First minted in 1964, is a fifty-cent coin currently issued by the United States Mint. Intended as a memorial to the assassinated President John F. Kennedy, it was authorized by Congress just over a month after his death. The Treasury Department made the coins available to the public beginning on March 24, 1964. A line a block long formed at the department’s windows in Washington to purchase the 70,000 coins initially allocated for public sale. 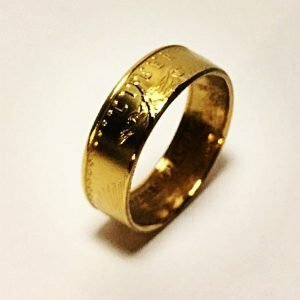 Although the department limited sales to 40 per customer, by the end of the day, the coins were gone, but the line had not shortened. Banks in Boston and Philadelphia quickly rationed supplies, but still sold out by noon. 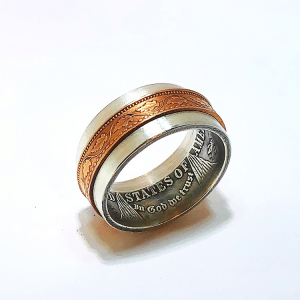 Copyright © 2019 Shandon's Coin Rings. All rights reserved.